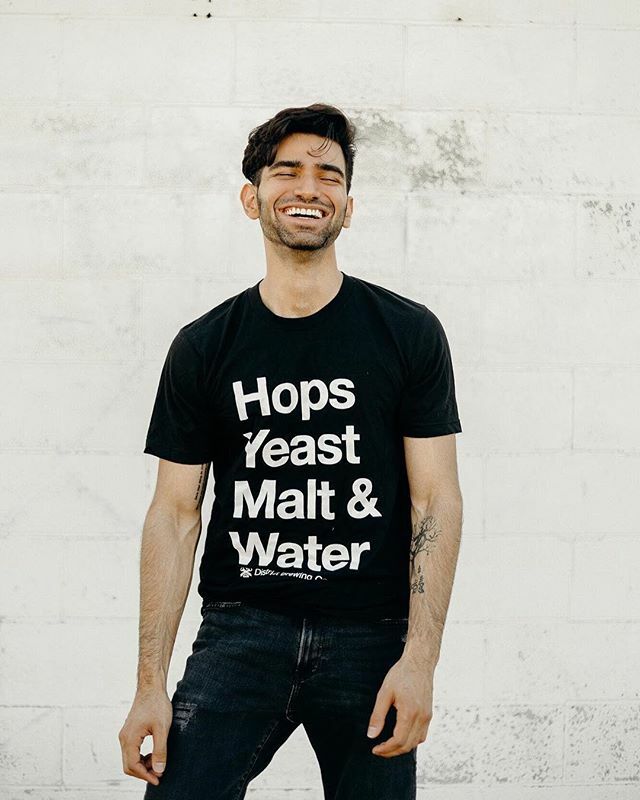 "Hops Yeast Malt & Water" screen printed in white on a black, 100% cotton, American Apparel Fine Jersey Crewneck T-shirt. Irresistably soft, smooth, and comfortable from day to night wear. 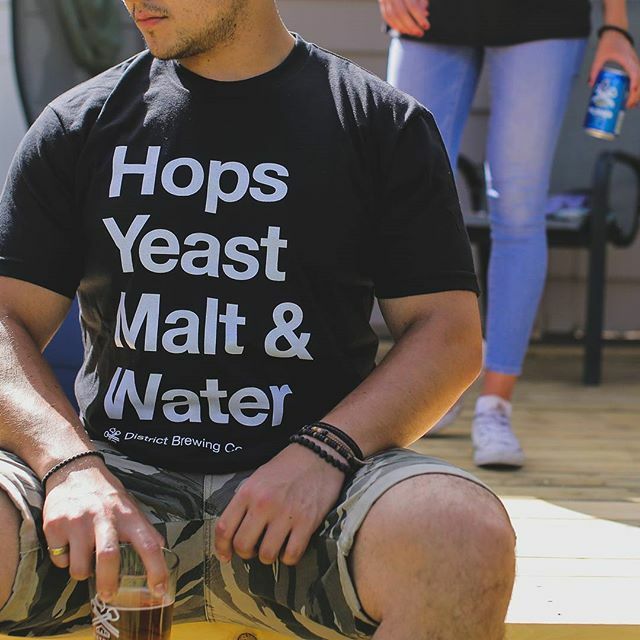 If you wear this, we know you know your beer. Well, what good craft beer is. 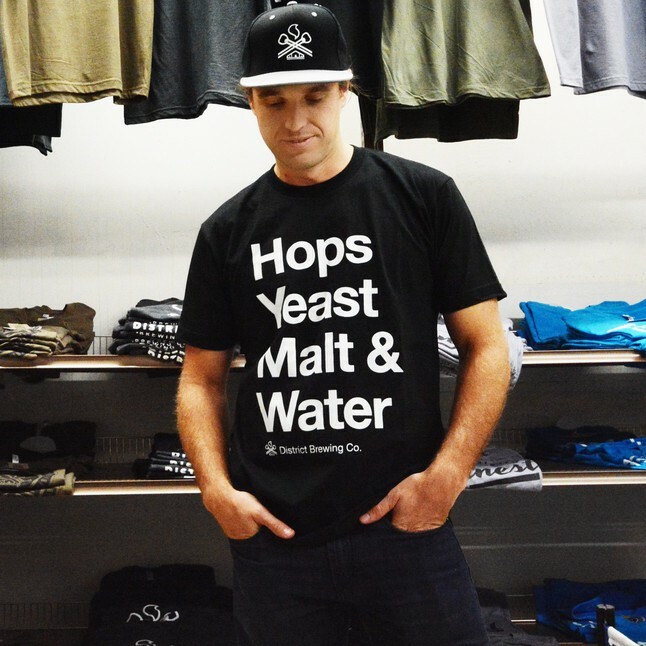 These four simple ingredients have revolutionized the beverage industry. They've transcended decades and millenia--the age old recipe stemming back to the Middle Ages. Beer, the ever-changing but consistently reliable source of happiness, attitude and a lifestyle. It beats energy drinks, right?